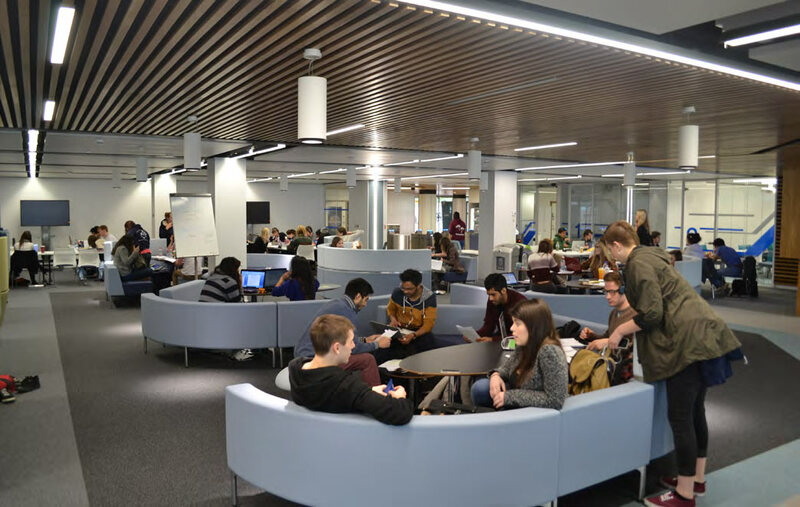 The University of Warwick’s Learning Grid Rootes provides a space for students to study corroboratively or individually on campus. They required furniture to create spaces within their large open plan setting. Open seven days a week, the furniture also needs to be hard wearing and comfortable. Connection’s innovative Hive modular furniture provides flexible seating that defines spaces and provides excellent comfort for hundreds of students per day. The new space has proved very popular with the students who have given excellent feedback about the new space to their university.